The Wetzel Double Steelpan Stand is a professional-grade Double Second/Double Tenor Stand that features top-quality steel construction with a durable black powder-coated finish. 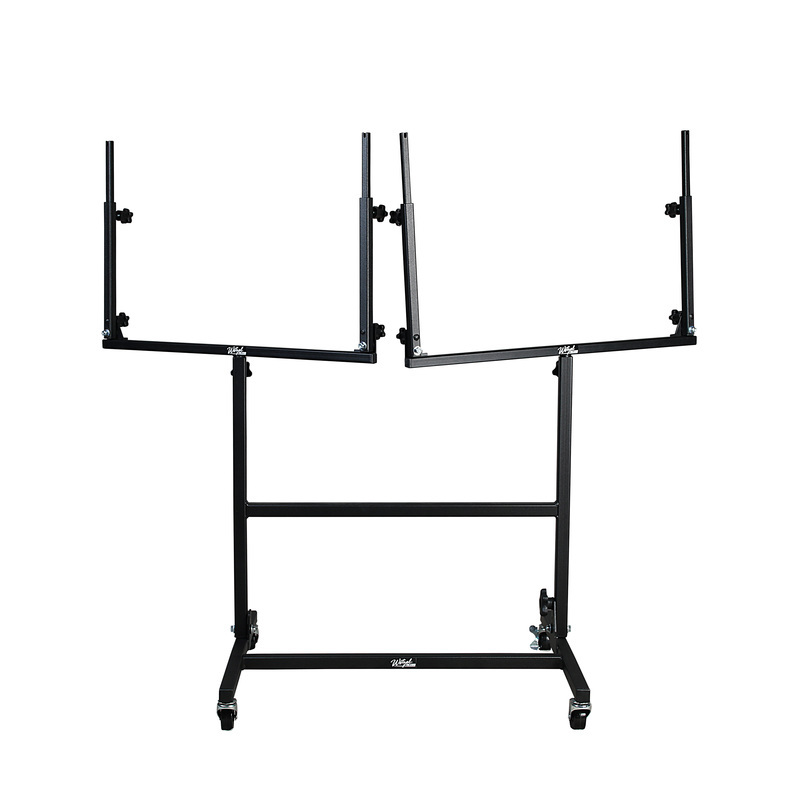 The Wetzel Double Steelpan Stand is a professional-grade Double Second/Double Tenor Stand that features top-quality steel construction with a durable black powder-coated finish. Like all premium Wetzel steel drum stands, it has slotted hanging posts to eliminate problems caused by faulty hooks. Welded steel provides the ultimate stability. The unique lift-and-lock design means it sets up quickly and securely. High-quality casters let you move your drums quickly and quietly. 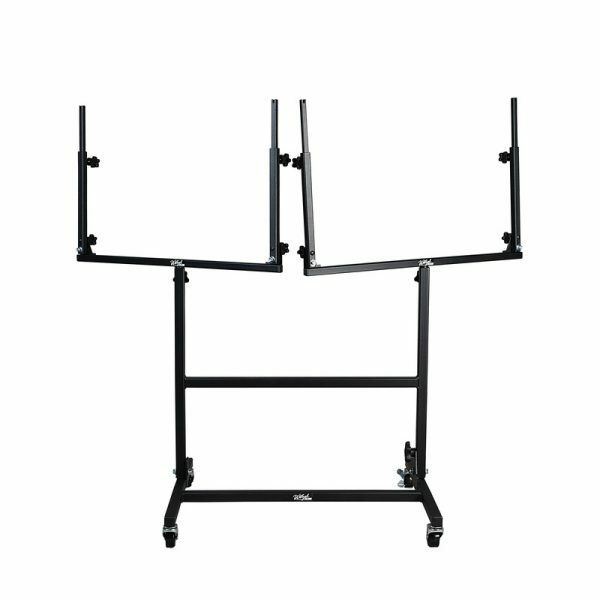 For just $10 more, order the stand with locking casters to keep your stand completely still when necessary. The locking T-bar arms are fully adjustable to multiple positions, allowing for the optimal playing height and distance between pans. This stand is completely collapsible for easy transport and efficient storage.